I took this picture of two bundles of wire, one on the right side and one on the left side of the upper fairing framework, near the headlight connections. 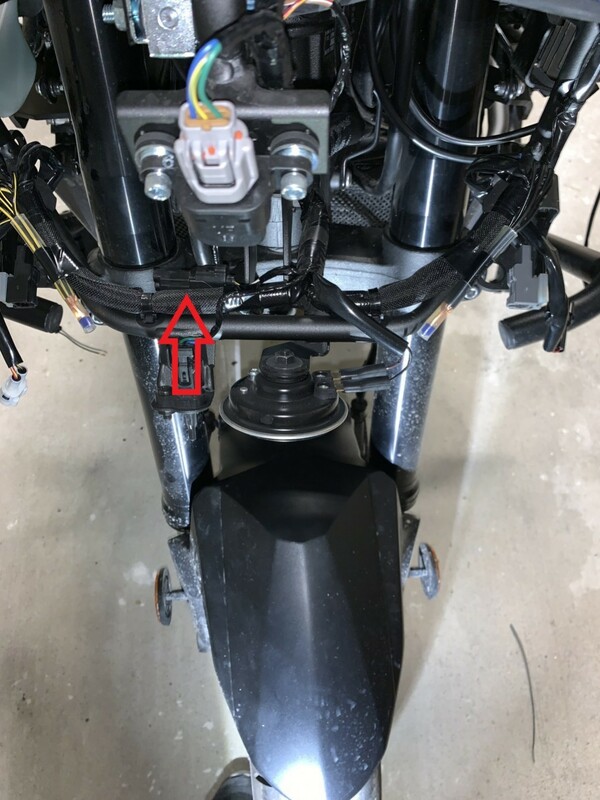 The ones on the right side of the bike are black and yellow and there are 5 wires, while the ones on the left side of the bike (7 of them) are black with some gray or silver spots. they are crimped together and sealed in a vinyl tube with something blue plugging the end. I am installing driving lights and would like to use existing wiring if possible. Any help is appreciated. Re: Are these the factory accessory wires on a 2017 model? Thank you! Digging around I found a wire with an empty bullet connector near the fuses. What might that be?